Taste Cavite | Badudets Everything Nice! If one would ask me what food the province of Cavite is known for, I’d probably answer Tahong Chips. That’s the safest answer I know since Cavite is known for its abundance of seafood. But thanks to the invitation of Island Cove Hotel & Leisure Park, I got to discover the rich Cavite cuisine and realized that the province is indeed another foodie destination. Fortunately, Chef Vill Purificacion put up a “Taste Cavite” menu which showcases the finest fare from the various towns. 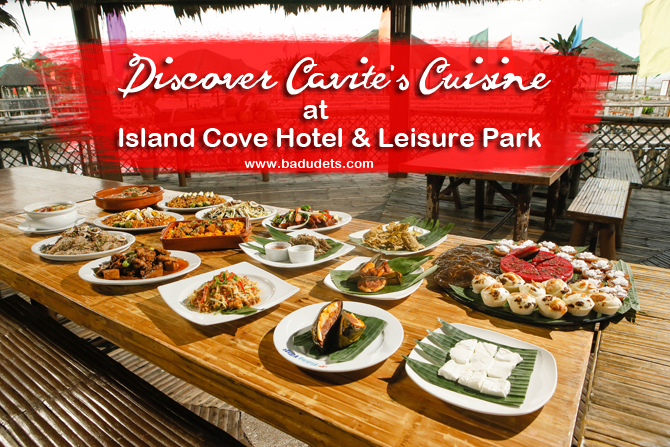 It will be a one-stop Cavite food tour because Managing Director Gilbert Remulla believes that Island Cove should be the gateway of all things Cavite.